福島市のエンターテインメントスペース AREA559 » Tomi Isobe Japan Tour 2016 Riding on Wind blown from Georgia, Boston and Hawaii !!!! 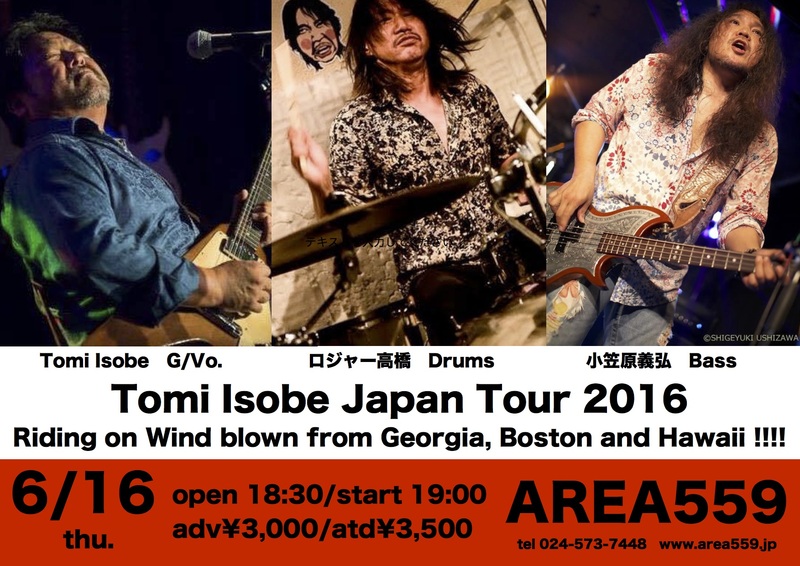 Tomi Isobe Japan Tour 2016 Riding on Wind blown from Georgia, Boston and Hawaii !!!! © 2016 AREA559（エリア５５９）All Rights Reserved.